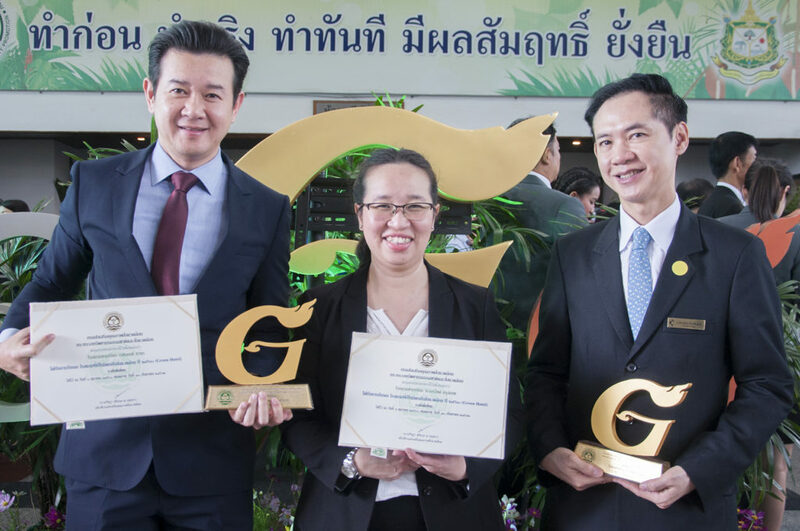 We are proud to announce that Chatrium Hotel Riverside Bangkok and Chatrium Residence Sathon Bangkok have claimed the G-Green (Gold) Award for 2017. 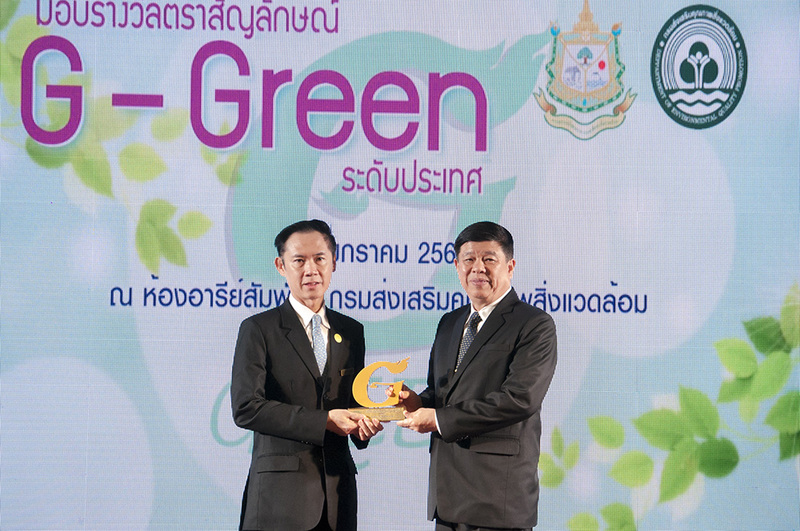 The award for being an eco-friendly hotel was presented by General Surasak Karnjanarat, Thailand’s Minister of Natural Resources and Environment, at the Department of Environmental Quality Promotion. 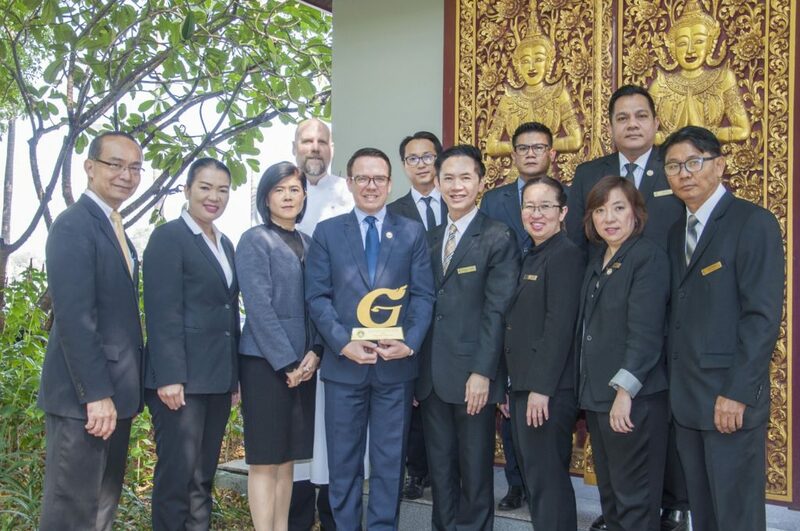 This is the second time since 2015 that the Chatrium Hotel Riverside Bangkok and Chatrium Residence Sathon Bangkok have received this award. Chatrium Hotel Riverside Bangkok and Chatrium Residence Sathon Bangkok have carefully crafted an ecologically aware collection of guest room amenities for the properties, as they recognize that is their responsibility to help both the country and the global corporate community to preserve the planet’s resources. All items are “Tree Free” and made from stone paper, an ultra-sustainable and eco-friendly paper-like material made from stone remains. In addition, all accessory items are packaged in tubes and sachets that have been carefully selected and manufactured with biodegradable and sustainable d2w® controlled-life additives. Conditioning shampoo, shower gel and body lotion are paraben-free, SLS-free, produced without animal testing and approved by the Thai FDA (Food and Drug Administration). It is through these efforts that Chatrium Hotel Riverside Bangkok and Chatrium Residence Sathon Bangkok fulfill, in part, their responsibility for the global environment. 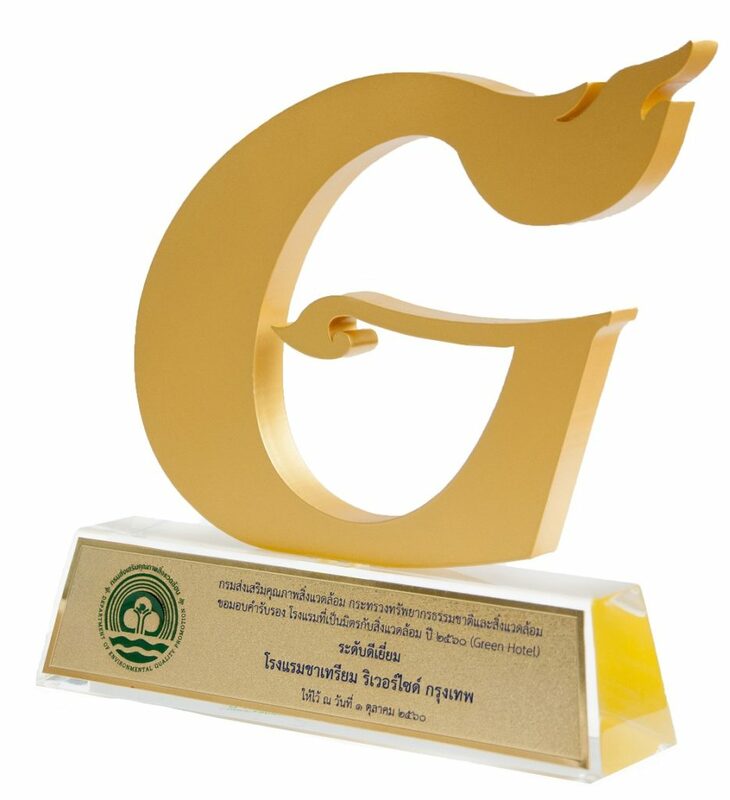 “We are greatly honored and pleased to receive the G-Green Golden Level award from the Ministry of Natural Resources and Environment. Our motto, and our approach to every aspect of our business, is to “Think First, Think Earth.” It the sacred duty of the business community and the best interests of our industry that call upon us to strive to implement sustainable practices and to protect the environment, so we at Chatrium take great pride in receiving this award,” said Mrs. Savitri Ramyarupa, Managing Director of Chatrium Hotels & Residences. Next PostNext Hot Summer Deals From Chatrium at the 46th Thai Tiew Thai Fair!